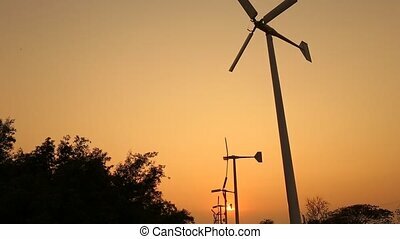 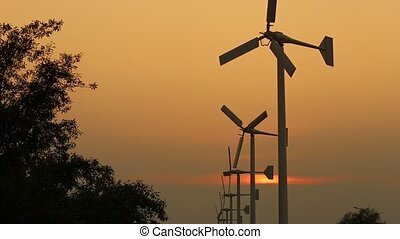 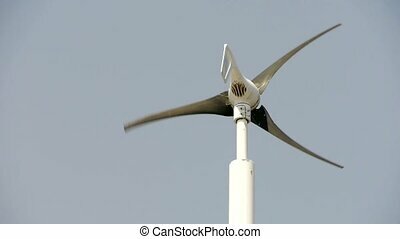 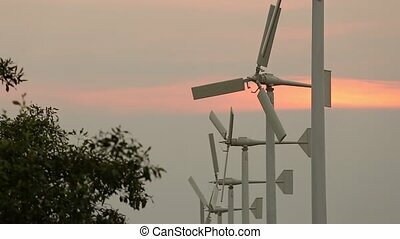 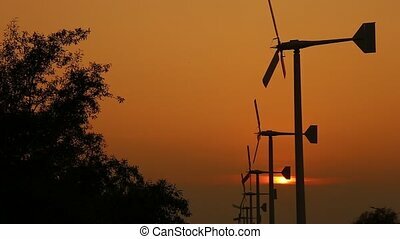 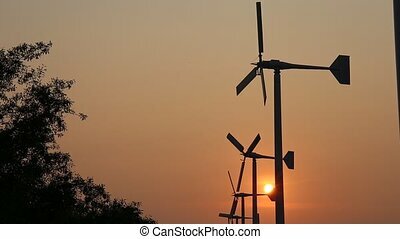 Energy wing power turbine rotates on sunset mountains background. 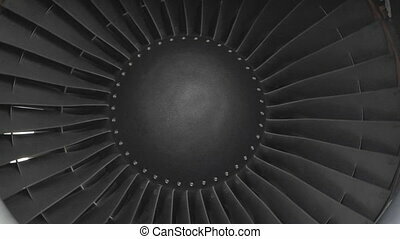 full hd footage. 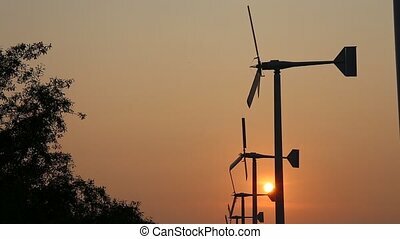 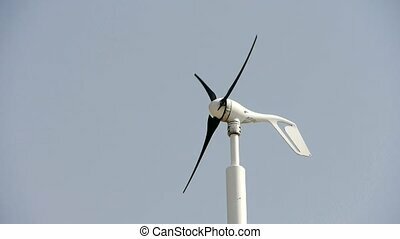 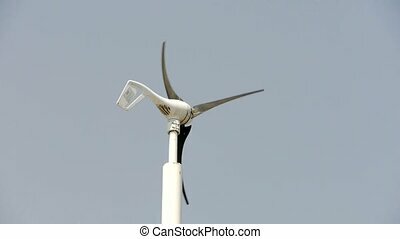 Wind turbine and new power energy. 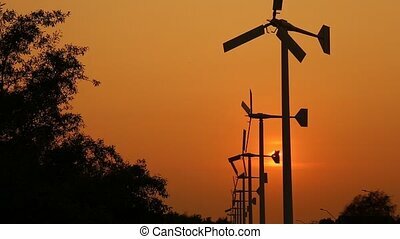 lighthouse and wind turbine & new power energy city. 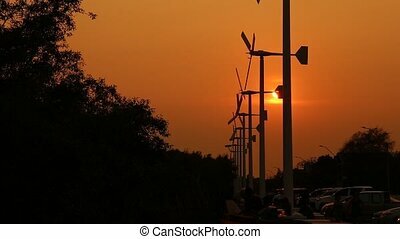 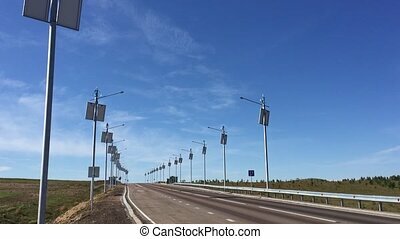 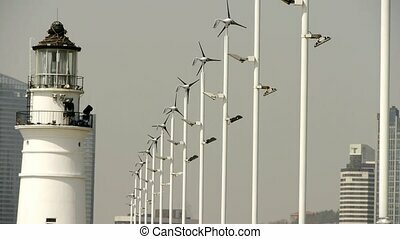 Road with wind turbine, solar and wind power lamp.